Bow ties are cool! 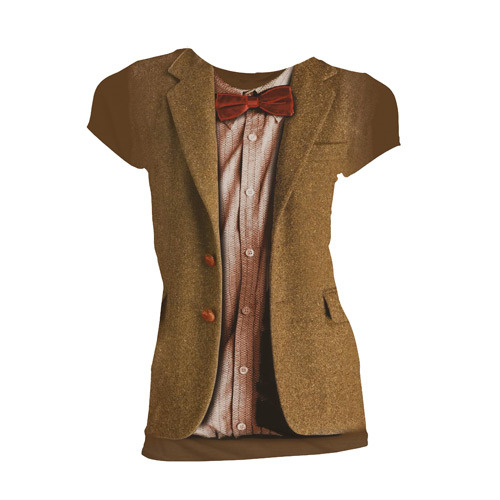 And you can look cool too when you wear this Doctor Who 11th Doctor Costume T-Shirt! This snazzy shirt captures the early ensemble of Matt Smith's 11th Doctor with a printed design of his iconic tweed jacket and red bowtie.